Blythewood isn’t any normal small town. It’s a place where all your first experiences happen, whether it be buying your first home or watching your baby take their first steps. 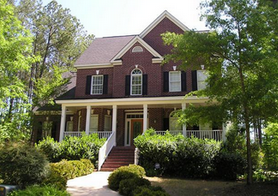 The charming community of Blythewood isn’t a place that creates your dreams. It’s a place where you remember them. When you watch your son throw his first pitch or ride your ’67 Ford Mustang in the Christmas parade, you’ll always remember it happened in Blythewood. That’s why so many in the Columbia area decide to make this small town their first home. It’s the beginning of all your happiest memories — Blythewood will make sure of it. If you’d like more information about Blythewood and local real estate, send us your questions via our “Contact Us” page. We’d be happy to answer any of your concerns! Schools, things-to-do, restaurants, home listings and more! Popular home builder in the Columbia area.